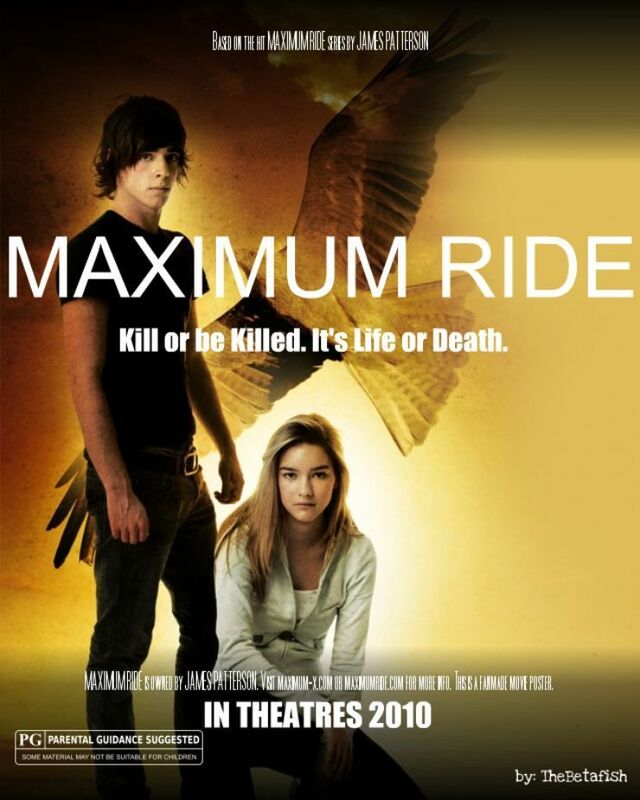 MaxRide Movie Poster. . HD Wallpaper and background images in the Maximum Ride club tagged: maximum ride fang max movie poster. This Maximum Ride fan art might contain retrato, headshot, close up, closeup, anime, banda desenhada, manga, desenhos animados, mangá, and quadrinhos. luv da pic and cant wait 4 da movie but fang is really ugly am i rite? That's the cover for the third book. Not the movie poster. Ha! Two things wrong with that...; First, that is definatly NOT the movie cover and second, its coming out 2013!!!!! That poster must be really old! It's 2012!It's also just a cover for the third book! Me like Faaaang ♥♥♥♥ oh, and great job, I thought it was real at first. wait a minute. THERE IS A MOVIE COMIN OUT?!?! um, how do you guys know this? you guys went to James P.'s website or somethin? People, the director better choose a better person for Fang he's one of my fav characters i LUV FANG!!!!!!!!!!!!! It better be a hot kid that actually MATCHES HIS DESCRIPTION!!!!!! :D Can't WAIT till the movie comes out!!!!!!!!!! P.S. : I LUV NICO DI ANGELO FROM PERCY JACKSON, JUST SAYING!!!!!!!!!!!!!!!!!!! !